The USA Cycling Amateur National Championships will be in Truckee June 24-28, 2015. The course changes each day, with stops in Loyalton, Serene Lakes, Northstar California, and downtown Truckee. Racing begins Wednesday on an out-and-back course that travels north on Hwy.89 from Northstar California. Younger riders complete a 69 kilometer course and top riders “CAT 1 and U-23” complete 167 kilometers. The racing is at Serene Lakes on Thursday. This is a 5 kilometer course around the lakes. Riders will complete 3-5 laps, depending on their division. 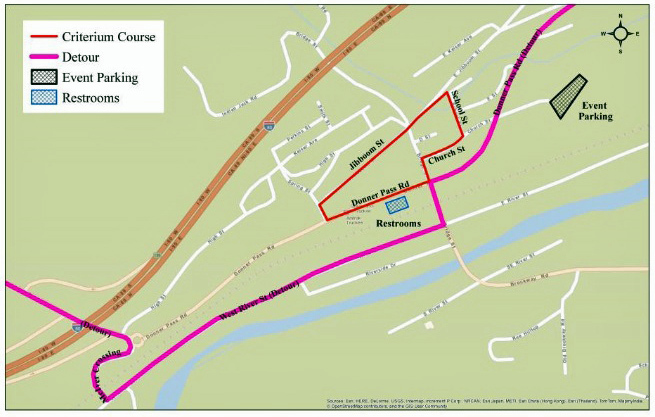 Friday and Saturday are time trial races in Loyalton. Course distances range from 10 to 28 kilometers. 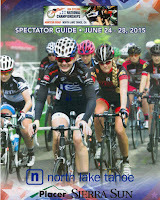 Sunday is a criterium race in downtown Truckee. This one kilometer course takes riders on Donner Pass Road to Spring Street, turning up Jibboom Street, with a turn on School Street and back on to Donner Pass Road. Donner Pass Road will be closed to vehicles from 7am to 8pm. All competitors are licensed USA Cycling members with amateur status. Divisions include riders as young as 9-years old up to elite racers over 21-years old. For additional race information see the USA Cycling website. That’s great news! Thanks for sharing. Informative and interesting which we share with you so i think so it is very useful and knowledgeable. I would like to thank you for the efforts. I am tiring the same best work from me in the future as well.